Raising questions about how big space has really got to be, given how everybody seems to be getting lost in it all the time, Netflix has announced that it’s picking its planned Lost In Space reboot up for a ten-episode first season. First announced last November, the new show is being branded as yet another reimagining of the campy ’60s sci-fi show, which famously tested how many goofy Irwin Allen plots kids would put up with in exchange for a glimpse of a pretty cool robot. Prison Break producer Zack Estrin is handling showrunning duties for the new series, while Dracula Untold screenwriters Matt Sazama and Burk Sharpless will pen the scripts. 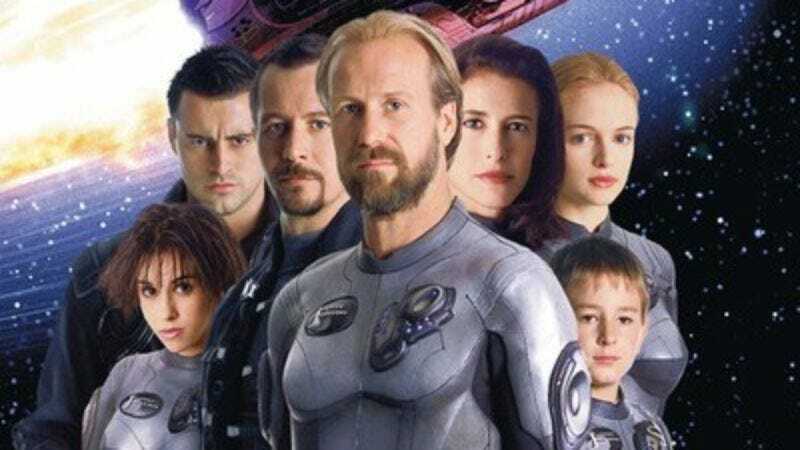 The show will center, of course, on the hapless Robinson clan, who’ve been getting themselves stranded in one rebooted patch of the universe or another at a rate of about once a decade since 1998. (That includes a failed WB series from 2004; you can see the leaked pilot for the show above.) This latest iteration of the wayward clan—still uncast—will be forced to battle “a strange new alien environment, and also their own personal demons,” which at least sounds easier than the giant metal Gary Oldman spiders and bad mid-2000s haircuts they’ve contended with in the past.